We have more than 20 non-competitive, outdoor recreational activities we participate in at Gold Arrow Camp. These include waterfront activities, traditional camp activities, and our outdoor and challenge course activities! To watch our activities in action, click on the videos below. Campers most often participate in activities as a group with the other campers in their cabin. These shared experiences build a framework for the group to bond, strengthen friendships, and create memories. For most days during a two-week session, each cabin is scheduled for a variety of activities in the morning and afternoon. 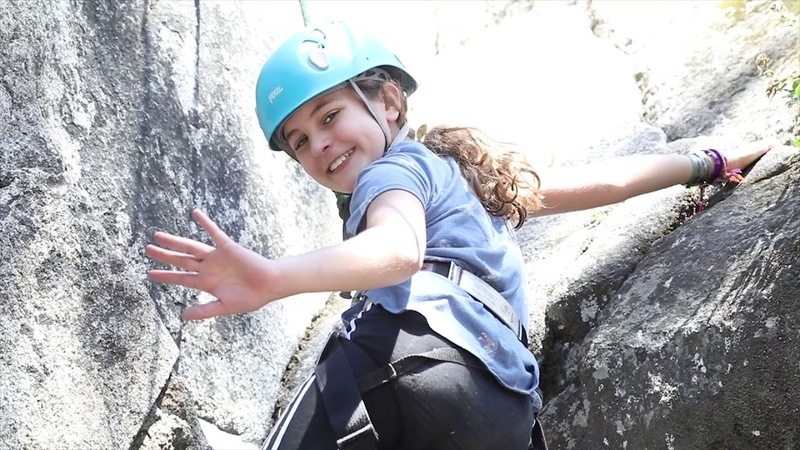 This ensures that campers will try most of the activities while at camp, even if they are a little unsure or nervous about a particular one. Campers are never forced to try an activity—we call it “challenge by choice”—but they are required to attend and strongly encouraged to participate. There are certain activities, such as mountain biking and canyoneering, in which only our oldest campers participate. 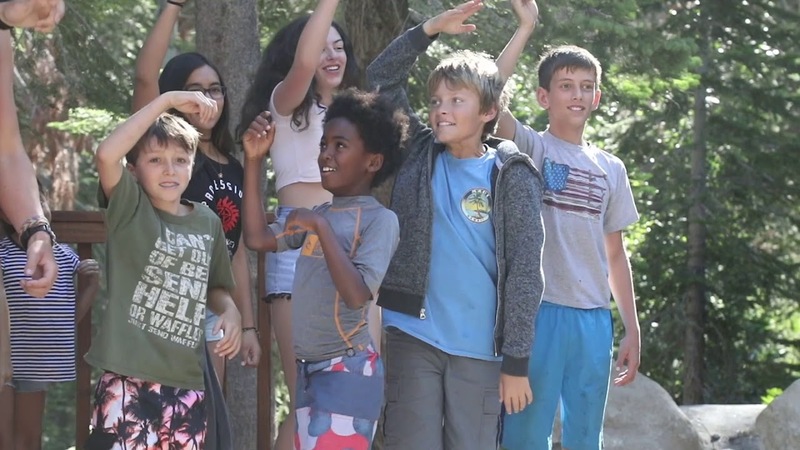 There is an opportunity for campers to choose an activity independent of their cabin groups during the evening period known as “Free Time.” This is a great chance for campers to return to activities that were especially interesting during the scheduled cabin activity period. During Free Time, campers often choose activities like archery, riflery, horses, or sailing to work on individual achievement awards in those areas. There are also other special activities periodically scheduled during Free Time that are not usually offered any other time and include: crochet, guitar, yoga, photojournalism, outdoor cooking, and others. The oldest campers also have more opportunities to select the activities in their schedule during the second week of camp. Waterskiing, wakeboarding, and kneeboarding on Huntington Lake are an option every Free Time period, as well as most early mornings, before breakfast. Our youngest campers, the Bears (approximate grades K-3), take an overnight hiking trip out of camp. The hike is approximately one mile, and packs and sleeping bags are delivered to the camp site for a low-key introduction to backpacking. Our “middle-aged” campers, the Tigers (approximate grades 4-5), experience a real overnight trip, complete with backpacks, and walk approximately 3-6 miles to sites such as Twin Lakes, Nellie Lake, and Indian Falls. Campers are taught “leave no trace” principles and respect for the environment while learning how to prepare and store food, and survive in the wilderness. Groups are always able to communicate with camp through use of emergency cellular or satellite telephones. 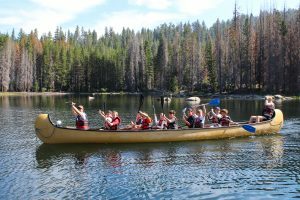 The oldest campers, the Lions (approximate grades 6-7) and Eagles (approximate grades 8-9), have the opportunity to sign up for an optional one-night backpacking trip, usually in the John Muir Wilderness. Older teens also enjoy a long backpacking trip during the Outdoor Leadership Course. The programs in which children are selected to participate are subject to change based on the directors’ discretion.